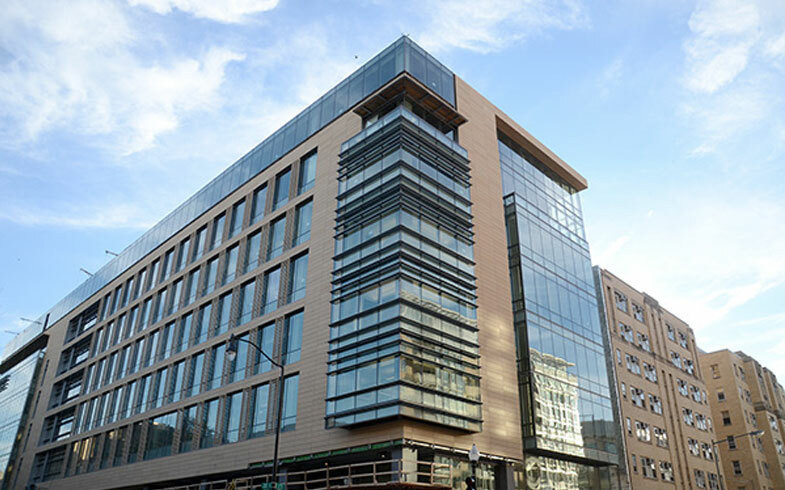 Late in 2014, George Washington University took a big step forward in its quest to increase its status as a research institution when it opened its 500,000 square-foot Science and Engineering Hall in Foggy Bottom. Constructing one of the DC region’s largest Academic and Research facilities in the middle of the city required a lot of planning and coordination. Mona Electric Group, Inc., took on the challenge and was responsible for all of the electrical and fire alarm work on the project. Mona employs 3-D modelers who use BIM (Building Information Modeling) to create designs that will work in the space. They then hand those designs over to Mona’s prefabrication shop to build components off-site—saving time and money, while ensuring the highest level of quality. Laboratories are demanding projects, because they require intense attention to detail to curb contamination. In this case, Mona had to ensure laser energy would not leak out of the physics labs. The building was also striving for LEED Gold certification so the labs also include many energy saving features. The LED lighting system included occupancy sensors that automatically turn off the lights when no one is in the room. It also included daylight harvesting where each row of lighting runs on a different circuit so that the lights can sense the amount of ambient light and reduce the amount of light they emit accordingly. Hence, the row of lights closest to the windows would emit a lower amount of light than the row of lights further into the interior of the building. 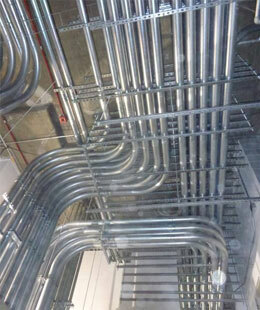 The project took about two years and 160,000 manhours to complete. In the end, Mona installed 6500 fixtures and 104 individual lab panels.